The Red Fort Complex is a sprawling fortress which is in the Old Delhi section of Delhi. Constructed in 1648 by the 5th Mogul Emperor, it has served an important role in Indian history for almost 400 years. 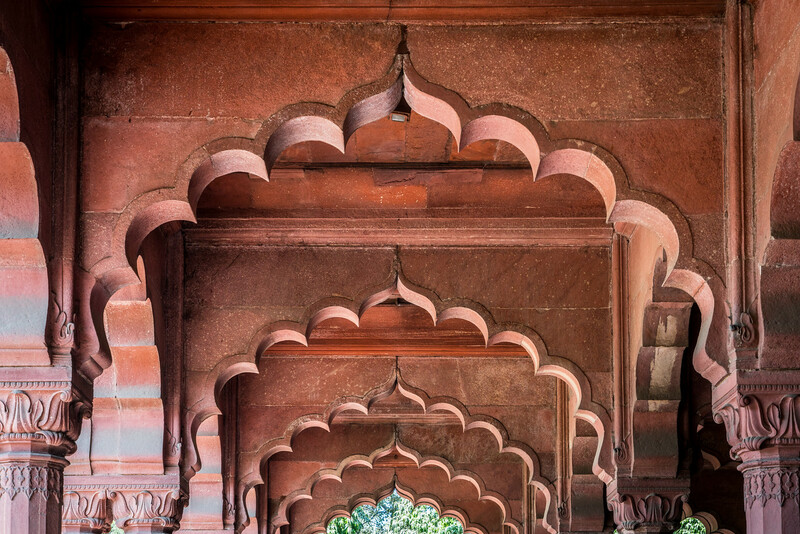 The structure was originally commissioned when the Mogul Emperor moved the imperial capital from Agra to Delhi. It was used by Mogul kings until 1858 when the British removed them during the Indian Revolt. 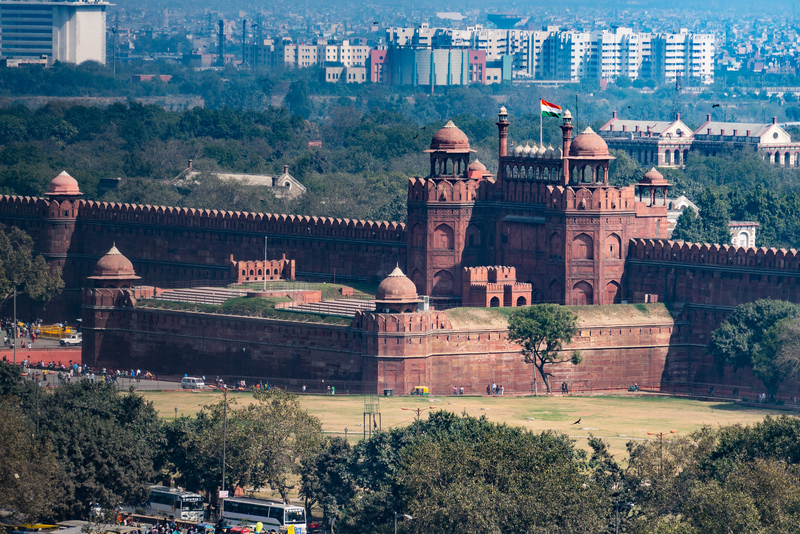 The Red Fort continued to be used as an administrative center during Britsh Rule. On On 15 August 1947, India’s first Prime Minister Jawaharlal Nehru, raised the Indian flag on the fort, signifying an independent India. To this day, the prime minister raises the Indian flag on the fort every August 15. Visiting the fort is not difficult. It is one of the most popular attractions in Delhi. Every tour guide will know the location and any taxi driver will be able to take you there. I visited on a Sunday and it was very crowded. It is a popular attraction for locals, so expect crowds on most days. 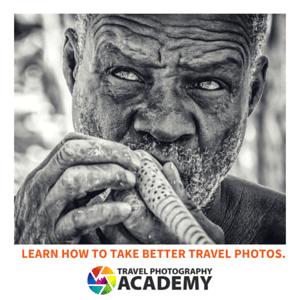 Entry fees for foreigners is 250 rupees. Nearby, you can also visit the Jamma Masjid, which is a mosque built by the same Mogul Emperor who built the Red Fort. You will also find many similarities between the Red Fort in Delhi and the Agra Fort, as they were built close together in time. The Red Fort Complex is one of the cultural UNESCO World Heritage Sites in India. This military fortification site was inscribed into the UNESCO list in 2007. This cultural UNESCO site is of cultural significance to India because it is symbolic of how the Mughal architecture flourished. At the same time, the complex is the best example of how the Islamic, Persian, Hindu, and Timurid traditions are combined as one. The Red Fort Complex was constructed in the mid-17th century. It served as the symbol of power for Emperor Shahjahan. It is categorized by UNESCO as a secular structure and military fortification. 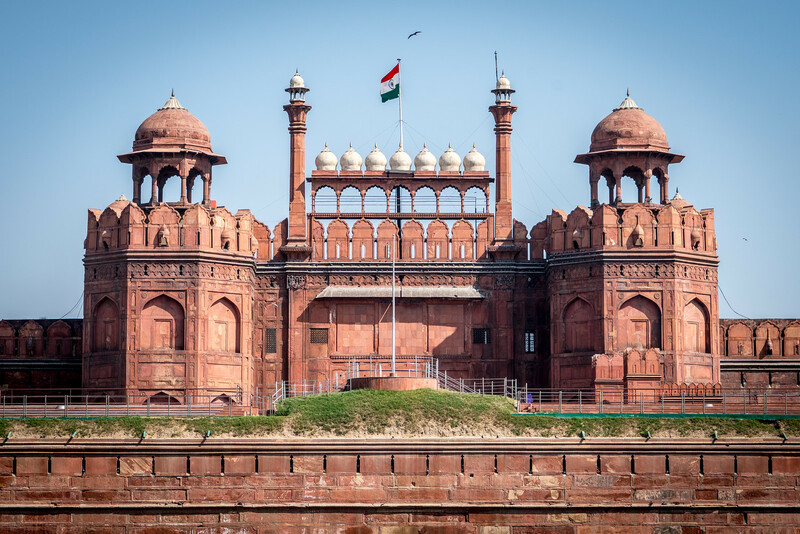 The Red Fort Complex is a historic fort located within the city of Delhi in India. It served as the main residence for all the Emperors that ruled during the Mughal dynasty. The dynasty ruled for 200 years, which ended in 1857. The fort is located within the heart of Delhi. It is also home to several museums. Aside from serving as residence to the emperors in India, the Red Fort Complex became the political and ceremonial center of the Mughal state. There were several important events held here that impacted the rest of the region. It was the 5th Mughal Emperor, Shah Jahan, who commissioned for this complex to be built in 1639. It served as his palace during his reign. The name of the fort was derived from the massive walls made of red sandstone. The imperial residence consisted of numerous rows of pavilions that are connected to each other via a water channel. The fort complex was believed to be the center of Mughal creativity during the rule of Shah Jahan. The entire palace followed the Islamic prototype in terms of architecture; however, each of the pavilions had unique architectural elements that represent a fusion with other traditions such as Persian and Timurid. To this day, the Red Fort Complex remains an important part of the civic and political activity in India. In fact, during the annual celebration of Independence Day in India, the Prime Minister would hoist the Indian flag and deliver a national speech from the Red Fort. It is the main feature of the UNESCO site Red Fort Complex that was added to the list in 2007. I lived in Delhi for 5 years, visited Red fort couple of times. There is light and sound show in evening. It looks grand! It was rebuilt by Emperor Akbar over an old fort. Wonder from where you took the pic.